Beth A. Handwerger, M.D. specializes in surgical and medical management of cataracts and corneal disease. She is Board Certified by the American Board of Ophthalmology, a Fellow of the American Academy of Ophthalmology, a member of the American Society of Cataract and Refractive Surgery, an instructor at Wills Eye Hospital and a surgeon at Paoli Hospital. Dr. Handwerger, a skilled surgeon and clinician, is a compassionate physician who treats patients with respect. She counsels her patients individually, spending time explaining medical conditions, treatment options, and benefits and risks of procedures and surgery. Her patients receive personal attention throughout their medical and surgical experience. She performs extensive pre-operative and post-operative evaluations to ensure that patients receive the best care possible with optimal outcomes. She is well known for providing patient focused, expert care to her patients. Dr. Handwerger completed a fellowship in cornea, external eye disease and refractive surgery at the prestigious Wills Eye Hospital in Philadelphia, Pennsylvania. She completed her residency at the University of Wisconsin-Madison. She received her Doctor of Medicine degree from the University of Rochester School of Medicine and Dentistry in Rochester, New York, and her Bachelor of Arts degree at the University of Pennsylvania in Philadelphia, Pennsylvania. She has published research studies in Archives of Ophthalmology and has presented at local and national meetings. She contributed to the American Academy of Ophthalmology’s text series entitled Corneal Dystrophies and Degenerations: A Molecular Genetics Approach. 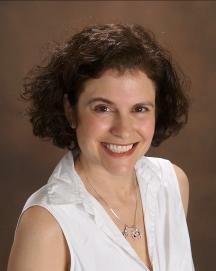 Dr. Handwerger has played the violin with the Main Line Symphony Orchestra and the Orchestra Society of Philadelphia. Dr. Handwerger resides in Wayne with her husband and their three children.